Maccaferri Mexico will be exhibiting at the XXIV National Hydraulic Congress in Acapulco Diamante, Guerrero. The event will be held at the Mundo Imperial Acapulco hotel, Riviera Diamante, from March 22 to 25, 2017. The Water, Engineering and Management Expo is part of the most emblematic event of the hydraulic sector in Mexico: The XXIV National Hydraulic Congress. The Mexican Hydraulic Association (AMH) is in charge of coordinating the event with the support of CONAGUA (The National Committee for Water) and The Government of the state of Guerrero . The AMH dedicates its activity to research, planning, design, construction, operation and management of the water resources that allow the development of the country. 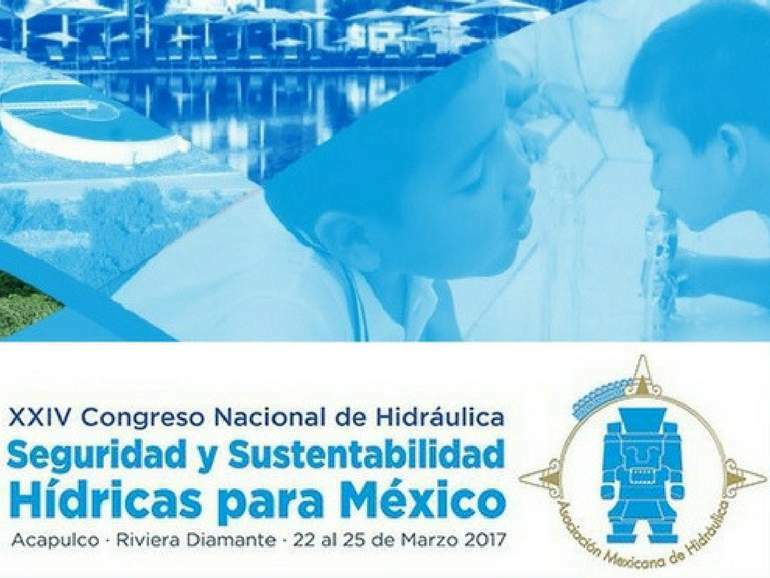 This year’s motto is “Water, Safety and Sustainability for Mexico”, the congress will be from March 22 to 25, 2017 at the Mundo Imperial Acapulco, Guerrero, Mexico. The main goal of the Water Expo is to promote the interexchange of knowledge related to hydraulic engineering and integrated water management in Mexico. The exhibition represents a networking centre where Maccaferri can share our enduring know-how and experience in hydraulic works which trace back to the 1890s, when the first interventions in the protection and training of rivers were carried out. Since then Reno Mattresses® and gabions have always been the main components of Maccaferri’s hydraulic works solutions. The event is aimed at bringing together government agencies, professional organizations, researchers, teachers, students, companies and water users, as well as system and project developers. Maccaferri Mexico can be found at booth #120 where our technical experts will illustrate the projects that we have successfully completed in the country. Contact us to arrange a meeting at the XXIV National Hydraulic Congress.